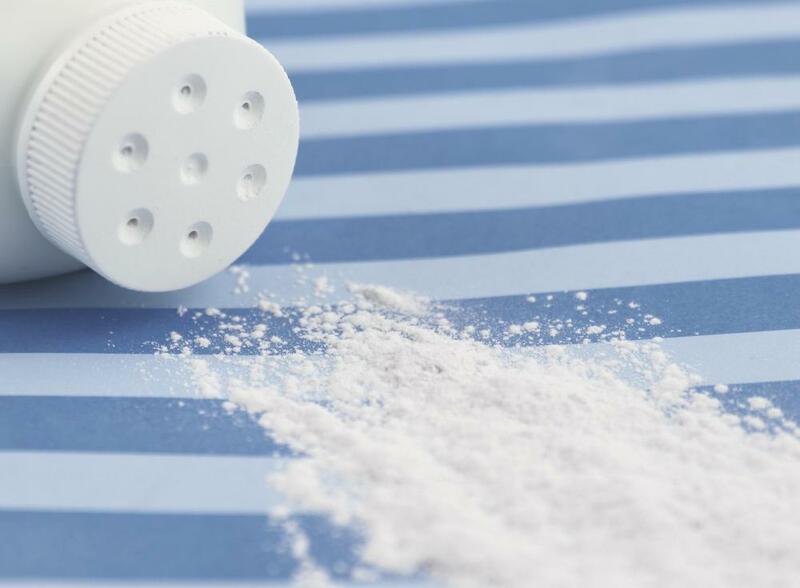 What Are the Different Uses for Talcum Powder? Talcum powder can be found in baby powder. 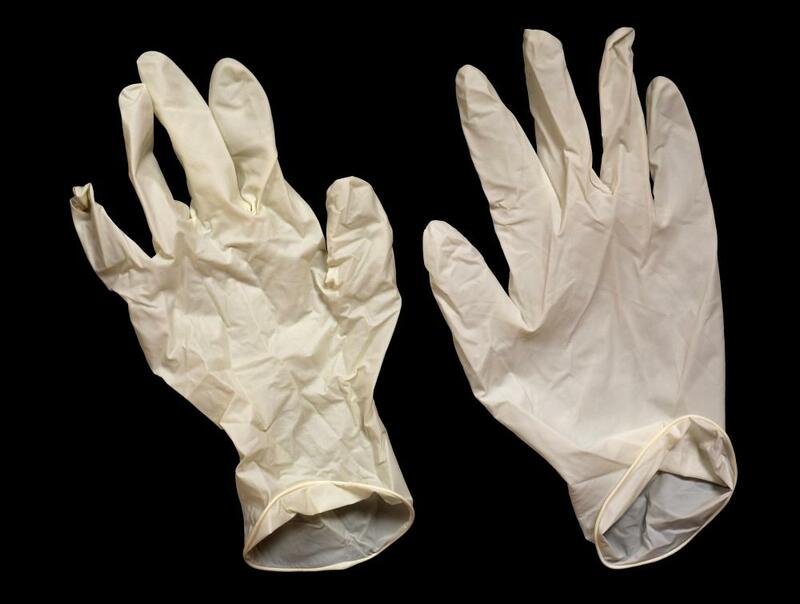 Some rubber gloves have talcum powder inside to make putting them on easier. 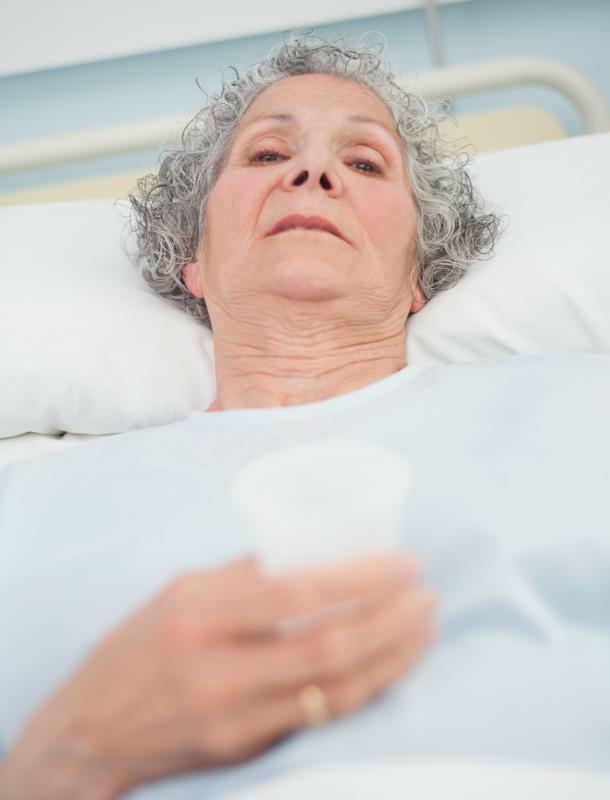 Talcum powder may help prevent sores from developing on people who are bed-ridden. 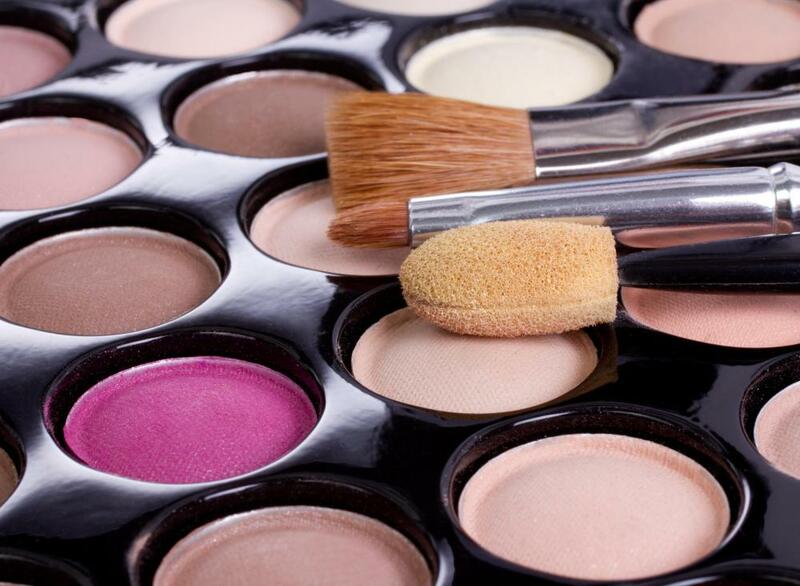 Talcum powder is used in eye shadow and other cosmetics. Talcum powder, also known as magnesium silicate, is made from finely-ground stone particles. It is used in various types of applications, including beauty products, baby products and household deodorizing. It is most well-known for its absorbency and protective qualities as baby powder, a skin-drying product that is not only used on babies, but people of all ages. Sprinkling talcum powder on stubborn knots and tangles — including tangled necklaces and shoestrings — can help them to come apart easier. This powder can be used to keep ants away from homes as well as fix squeaky floorboards. It also can be used to remove greasy carpet stains by sprinkling it on the stain and letting it absorb the grease for several hours. To remove fresh blood stains, talcum powder and water can be mixed to make a paste and applied to the stain. The paste should be allowed to dry, then be brushed away. This mineral is also used in cosmetics, such as eye-shadow and lipstick. It is also used in other beauty processes, including freshening hair overdue for a wash. After using a cosmetic brush to dab the powder on the hair's roots, it should be brushed out. The powder will give hair a clean look by absorbing excess oil. The same treatment will also work on a dog's fur, but the ear, mouth and eye areas should be avoided. Removing stubborn sand from feet, hair and clothing can be expedited with help from talcum powder. By rubbing it on the feet and into hair and sprinkling it on clothing and towels, the sand will typically fall away. Putting on rubber gloves also can be made easier by lightly dusting the hands with powder before inserting them into the gloves. The smell inside moldy books can be eliminated by sprinkling the mineral between the pages and letting it set for several hours. Playing cards can also be freshened up with it. The cards can be placed in a bag with some powder and shaken up. This will absorb any oil from fingerprints on the cards. Talcum powder is best known for its effectiveness in preventing skin from chaffing due to heat, moisture or friction. It is used successfully to prevent sores from developing on bed-ridden people by forming a thin barrier to keep skin from becoming raw from constant contact or rubbing on bed sheets. To make a bed seem cooler for sleeping, sheets can be sprinkled with powder. What are the Different Types of Personal Hygiene Products? How can I Deal with Oily Hair? Are baby powder and talcum powder basically the same thing? I always thought they were, except the baby powder had a nice fresh baby scent to it. I don't mind that baby scent and have used baby powder for a lot of things. Once I knew I was only going to be living in a place for a few months, so didn't unpack all of my things. Most of my books were stored in cardboard boxes in the basement for several months. When I was ready to unpack them, they smelled moldy and musty, and were a little damp. I wondered if I would ever get that smell out of them. the books, and sprinkled them with baby powder. After that I set them upright and let them air out for awhile. I did this outside so it wasn't so much of a mess. When I was ready to store my books again I shook away any remaining powder, and they smelled so much better than they did when I took them out of the boxes. I love to garden, and years ago a friend shared a tip with me for using talcum powder with my garden bulbs. I buy the medicated powder, and shake some talcum powder in a plastic bag along with some garden bulbs before planting. I guess on the amount, and just make sure there is enough powder to give them a light coating. Now my bulbs are ready to plant and the medicated powder helps keep the bulbs dry and prevent rot. This is especially helpful in the spring when it is quite rainy. It also helps deter some of the garden pests like moles and grubs. It won't work for all garden pests, but I really notice a difference if I take the time to do this before planting my bulbs. When most people think of talcum powder, they think of babies or women. They also make talcum powder for men. Some men might feel strange about using something like this, but they have masculine scents, so you don't feel like you are using something floral or feminine. The best part about talcum powder is how well it absorbs moisture and keeps your body dry. Usually a product designed to absorb moisture, makes your skin feel dry too, but talcum powder leaves your skin feeling soft and smooth. I don't have a baby around anymore, but always keep a bottle of talcum powder around. Some of these tips I knew about, but I also learned a lot of great tips here. I probably keep talcum powder around because my mom did the same thing. When my sisters and I were young, we would always get our necklaces tangled up. Either they were tangled together, or had small knots in them that were hard to get out. The first thing my mom did was get the talcum powder, and it worked every time. Since then, I have used talcum powder for this many times. @anamur – I like wearing flats in the summer, but they make my feet sweat a lot, since the toes are enclosed. I tried sprinkling talcum powder inside them and rubbing it in a bit, but I could not stand the texture. As I walked around in them, my feet just felt dirty. I had to wipe it all out before I went to work. However, you are right about it absorbing odors. I decided to just use it in my shoes at night to soak up the smell. I use a rough cloth to wipe out all the powder in the morning, and I think this even keeps the odor level down throughout the day. Sometimes, they sneak around and get on it while I'm not looking, though. Once I get them off of it, I sprinkle powder on the surface to soak up the natural dog smell. If they have drooled on it, the powder will soak up this as well. Also, if my dogs come home from their field explorations smelling terrible, sprinkling powder on their fur can get rid of most of the odor. Some smells are so strong that they must be washed out with dog shampoo, but lightly offensive odors can be removed with talcum powder. @burcinc – I guess using your fingers works best for people with normal to dry hair. However, mine is oily, so I use a blush brush to apply talcum powder to my roots instead. I think that the oils from my fingers were actually contributing to the problem. When I use a brush, I get just a light dusting of the powder, and I don't have to touch my hair. I use a fine-toothed comb to distribute the powder, and the oily look disappears. I do this whenever I suddenly find that I need to go somewhere, but there is no time for me to wash my hair. I get a lot of impromptu invitations from my friends, and talcum powder has saved me lots of time. I once saw my friend use talcum powder on her legs before putting on tight pants. She wanted to wear a pair of leather pants to wear to a rock concert, but she knew that they would make her sweat and her skin would stick to them. She dipped her hands in the powder and spread it evenly all over her legs. She rubbed it in well, and then she slid on the leather pants with no trouble whatsoever. She told me that it is very hard to put the pants on when her legs are even slightly moist. She once tried to pull them on after applying lotion to her freshly shaved legs, and she couldn't even pull them up past her knees! Talcum powder is very helpful with this. @fify-- If you have dark hair and use too much talcum powder, it will look bad. Instead of applying it directly on your scalp, sprinkle some talcum powder on your fingers. Then, rub your fingers through your roots. It won't make your scalp white that way and it will lift your roots up nicely. Angelina Jolie is said to use this trick a lot. I also do this, but only if I have a hair wash due and I don't have time to wash it. It makes my hair look freshly washed and gives my roots a nice lift. But I try not to use talcum powder for this purpose more than once or twice a month. reason is because I heard that inhaling talcum powder could be dangerous. 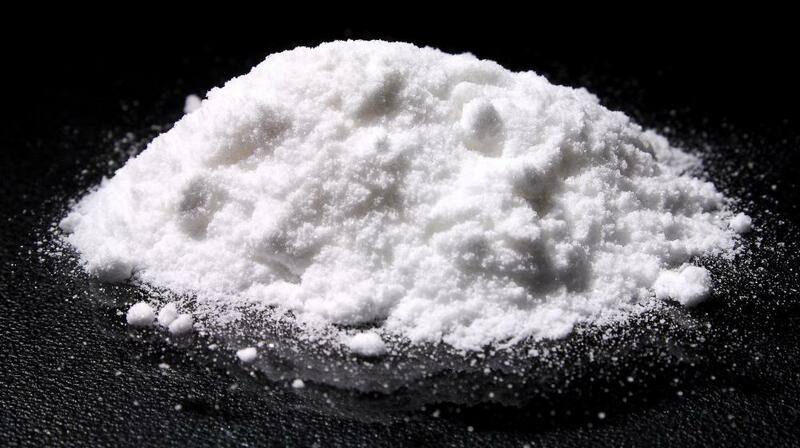 Some reports have linked talcum powder to cancer. Some people use talcum powder to set their makeup or to prime their lashes as well. I'm a little wary of using the powder too much around my face. When I use it on my hair, I pay attention not to inhale any in the process. These are some really good tips! I have never tried using talcum powder for stains before. I will definitely try this stain removing tip next time around. I had heard about using talcum powder for removing grease from hair before though. And I have tried it. I sprinkled talcum powder on my roots and brushed it out. It did absorb the oil, but it looked horrible because it left my scalp looking white. Maybe I sprinkled too much of it, I don't know. I'm also a little confused about the difference between talcum powder (same as talc?) and baby powder. Are they exactly the same? Is it okay to replace one with other in these various uses? Talc powder is great for odor. When I run out of deodorant, or if it's a particularly hot and humid day, I use baby powder as an antiperspirant. It absorbs sweat and smells clean and fresh. I sprinkle it on my underwear sometimes to keep perspiration and odors away as well. Another odor it's good for is feet or shoe odor. I have a pair of summer shoes that stink very quickly because my feet sweats outdoors. When I get home, I sprinkle talcum powder all over them and let it soak up the moisture and odor. I just wipe it away the next day. It's also a good idea to sprinkle some talcum powder in shoes before putting them away. This way, the closet or wherever you're putting them, doesn't smell like shoes.